Since most runners have been injured, should shoes, clothing, or running magazines be accompanied by warning labels? 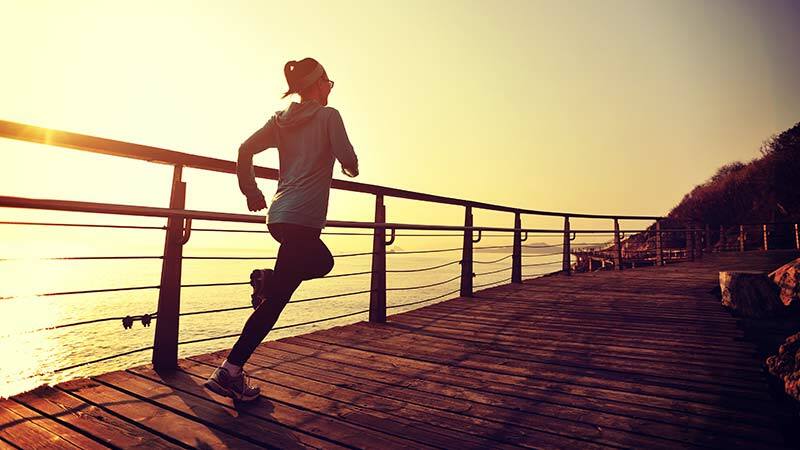 Fortunately, there are ways to reduce your running risks. Risky behavior is something we all just do sometimes. We work out a bit too much, race too often, have another glass of wine. But when the brain says it’s too much, we should pay attention. The running boom of the 1970s continues to explode, and running is now the most popular physical activity of adults worldwide. Unfortunately, injury rates are booming too, with a very high prevalence, all while overall average performance times have long been worsening. Clearly, running is risky behavior. With millions of people entering the running world regularly, should they first be forewarned? Certainly if you are considering a high-risk financial investment you will be told of the risk-reward ratio so that you can make an informed decision. Do we need the same strong warning about running risks? While risky behavior usually comes with warnings, it sometimes gets out of hand. Keeping your running clothes clean is important, but the washer may have a warning for you to not put a person inside. We know sleep is key for recovery, but if you use a hair dryer after showering before bed, its label may warn against using it while sleeping. But the running-injury epidemic is serious. Two types of warnings are meant to protect consumers. They come in the form of public health warnings, often issued through the media, or on labels stuck to products or packaging. We already have warnings about exercise: “consult your doctor before starting any exercise,” or “before embarking on a physical activity program, it is recommended that you have a complete medical checkup.” If people followed this advice, it would have cut the running boom short. Also, most runners would not do this, of course, in part because too many practitioners don’t themselves exercise, or know much of anything about it. Other warnings are proactive, meant to prevent potential dangers. Then there are reactive warnings, occurring only after a problem develops: “If any discomfort results, stop exercising and consult your doctor.” Well, if this really happened most of the world’s running population would be resting (similar to the rules for concussions in some sports). Most warnings about exercise are intended for the billions of inactive people worldwide. Statistically, inactivity is a health risk for being overfat, or developing heart disease, diabetes and cancer (not that runners are immune). Yet, too many runners technically have “low” levels of physical activity, increasing injury risk, because, despite that hour morning run, the rest of the day is spent sitting at a desk, on the couch or sleeping. Ironically, the rising rates of exercise (more people are working out) parallel the worsening overfat pandemic. After hearing long gloomy histories about a patient’s running injuries, I would sometimes try to lighten things up a bit by saying how it might have been better to remain a couch potato. Today, the rates of running injuries appear more horrific. Yet, virtually all are preventable. It’s possible that up to 80 percent of runners are injured, although this may be misleading — rates could be even higher. Many running injuries are never reported. Moreover, the number of reported injuries would be greater if the definition of “injury” was more complete — they are not limited to physical impairments, most of which occur from the knee downwards in runners, but biochemical and mental/emotional ones too. Overtraining is common and also an “injury” that is made up of various abnormal signs and symptoms all referred to as injuries. Poor performance can also be considered an injury. As a group, runners keep racing slower. This may be due to the rising rates of various other injuries, including the problem of being overfat. While records continue to fall from small numbers in the lead packs, a study by Andersen and Nikolova that analyzed 34,680,750 results from 28,732 different races showed that amateur runners in 5K, 10K, half and full marathons in the U.S. between 1996 and 2016 have slowed significantly. WARNING! EATING REFINED CARBOHYDRATES CAN INCREASE BODY FAT, SLOW YOU DOWN AND CONTRIBUTE TO PHYSICAL, BIOCHEMICAL AND MENTAL-EMOTIONAL INJURIES. If you feel an injury coming on, even a hint, take two or three days off. Think about how or why you’re feeling something abnormal. Or, cut your mileage in half for a couple of weeks. Check to make sure your aerobic training heart rate is not too high. If you lack motivation to run, cross train. Cycling, strength-training, walking or other activities will ultimately help your running, and your health. Existing physical, biochemical and mental-emotional injuries must be addressed. If you need help from a practitioner or coach, there’s no better time to start that process than now. Always pay close attention to your running shoes. Remember that the foods we eat can influence our running more than training. Regularly monitoring at least your resting heart rate and MAF Test is vital. Evaluate your health and fitness through the MAF app or online program. Key to life: Find the fun!